Date of birth 22.06.1977 р., place of birth Lviv, Ukraine. Author and co-author of over 200 paper, including 7 monographs and book chapters, 15 patents. 2014, Jul. - Basic Science Course 2014 „Hot topics in experimental GI cancer‟, taking place in the Klinikum rechts der Isar, Technical University Munich, Germany. Teaching sessions: „Imaging in mice (MRI, Ultrasonography, Coloscopy, Luciferase Imaging); „Isolation of dorsal root ganglia‟. 2013, September - Teaching course on EMG at WFN/EFNS 2013 in Vienna. 2011, Aug. - Categorical course „New Ultrasound techniques” at WFUMB 2011, 13th World Congress of the World Federation for Ultrasound in Medicine and Biology in conjunction with 35th joint meeting of the Austrian, German and Swiss Societies for Ultrasound in Medicine (Dreiländertreffen) in conjunction with Euroson 2011 23rd Congress of EFSUMB in Wien, Austria. 2011, Sept. - Teching courses on clinical neurophysiology (NCS, EMG), neuromuscular diseases, autonomic nerve system diagnostic and disorders at 15th Congress of the European Federation of Neurological Societies that will be held in Budapest, Hungary. 2008, June - the Training Workshop "Endosonohraphy, puncture interventions in endosonography." 2008 - tcourse of fellowship "Fine needle biopsy of thyroid gland under ultrasound guidance” at the Institute of Endocrinology and Metabolism, Academy of Medical sciences of Ukraine. 2007 - training in the abdominal interventions under the ultrasound control at the National OO Shalimov Institute of Transplantation and Experimental Surgery. 2005 - course of specialization "Ultrasound diagnostics" in Kyiv PL Shupyk Medical Academy of Postgraduate Education. 2004 - course of scholarship "Homeopathy and computer electropuncture diagnosis and treatment" at Lviv Danylo Galician National Medical University. 2003 - residency "Manual Reflexology" at Lviv Danylo Galician National Medical University. 2002 - residency (course of specialization) "Endoscopy" at Lviv Danylo Galician State Medical University. 2002 - training feellowship in diagnostic and therapeutic endoscopy in Rivne V. Polishchuk Regional Clinical Diagnostic Center. 2000-2002 residency, Rivne Regional Hospital, specialty “surgery”. 2000-2002 residency (internship) in specialty "surgery" in Ternopil I.Ya. Horbachevsky State Medical Academy. 1994-2000 M.D., the Medical faculty of Ternopil I.Ya. Horbachevsky State Medical Academy, specialty "Medicine". May 2012 PhD. Thesis “Role of ultrasonography in the regional anesthesia in operations on the lower extremities”. Supervisor professor R.Y. 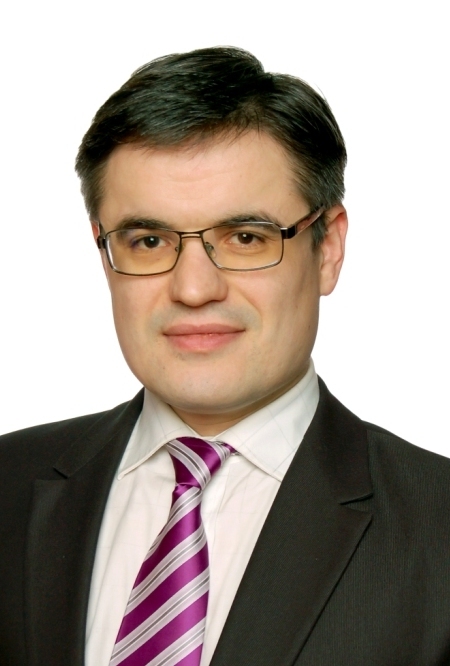 Abdullaev, MD, PhD, ScD, Department of Ultrasound diagnostics Kharkiv Medical Academy of Postgraduate Education. Since July 2012 - nomination as National Representative in Ukraine of the European Association for Predictive, Preventive and Personalised Medicine (EPMA) and Coordinator of the regional EPMA-BOARD in Ukraine. First place at Humboldt Kolleg Young Scientists Competition in Section “Life Sciences” "Mathematics and life sciences: possibilities, interlacements and limits". - report Rostyslav Bubnov "Mathematical Modeling in Modern Ultrasonography"
Winner (fisrt place) "Highlights of Ukrainian science and education - 2010" in network "Ukrainian Scientists Worldwide" -research dedicated interventional neuro-musculo-skeletal sonography, treatment of pain syndromes, ultrasound of neuroimaging. Runner up in Category "Innovations in computer aided engineering" on “Mimics Innovation Awards 2011” - report Rostyslav Bubnov “Integrated application of three-dimensional modeling to study nerves anatomy for regional anesthesia under ultrasound guidance based on the expert segmentation of sonographic images using Mimics software”. Travel grant for the attendance 15th Congress of the European Federation of Neurological Societies, Budapest, Hungary, September 10-13, 2011. Travel grant for the attendance United European Gastroenterology Week (UEGW 2011), Stockholm, Sweden, October 22 - 26, 2011. Qween Jadwiga Stipend for fellowship at Jagellonian Univercity Krakow/Poland for 2011 – 2012. Participant of SEVENTH FRAMEWORK PROGRAMME grant Marie Curie Actions, People “EU-Ukrainian Mathematicians for Life Sciences” PIRSES-GA-2011-295164. Fractal analysis of ultrasound images.